Kidambi Srikanth, seeded second at this India Open, could not afford to relax for even a second against Lee Cheuk Yiu in what was their first-ever meeting. 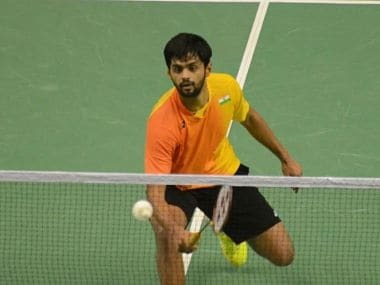 The Tata Open crown should ease off some pressure from Ruthvika Shivani Gadde's shoulder as this could also prove to be the second beginning for the lanky shuttler. 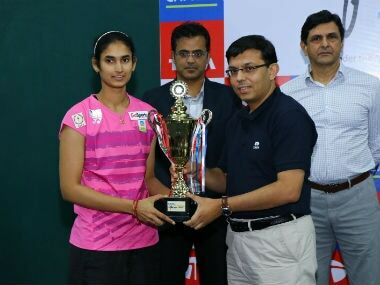 Regardless of losing in the final, the badminton fraternity, including the likes of Prakash Padukone witnessed the spark in Riya throughout the Tata Open 2017. Top Indian junior and sixth seed Lakshya Sen was beaten in three games by Thailand's unseeded Sitthikom Thammasin who, thus, lifted the men's singles title in the USD 20,000 Tata Open India International Badminton Challenge. Eighth-seeded Ruthvika Shivani Gadde and qualifier Riya Mukherjee, both from India, will contest the women's singles final of the USD 20,000 Tata Open.